Electrical muscle stimulation uses electrical currents to cause a muscle or muscle group to contract and relax in a specific pattern. 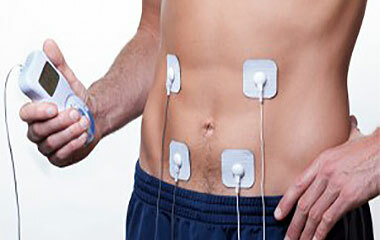 Using electrode pads, a muscle's blood supply is increased through the contracting pattern, whether aggressive or gentle depending on the needs of the patient. Healing is increased in the muscle region because of the increased blood pumping through the muscle or muscle group.